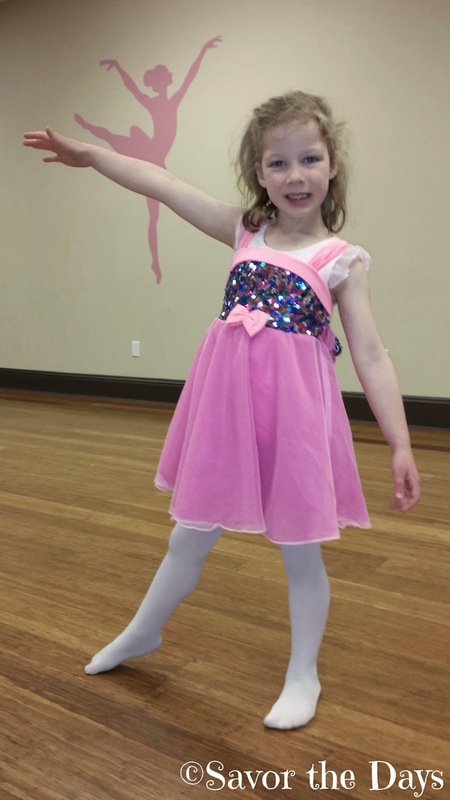 Savor The Days: Recital Time is Coming! Rachel is super excited because she got to try on her costume for her upcoming dance recital. We had the girls just put the costume on over their leotards so they look a little funny like this but we were just trying to make sure the fit was right and didn't want to take the time to have all the girls completely change out of their leotards. The girls were so excited to wear their fancy costumes. They were flitting and leaping all over the room.